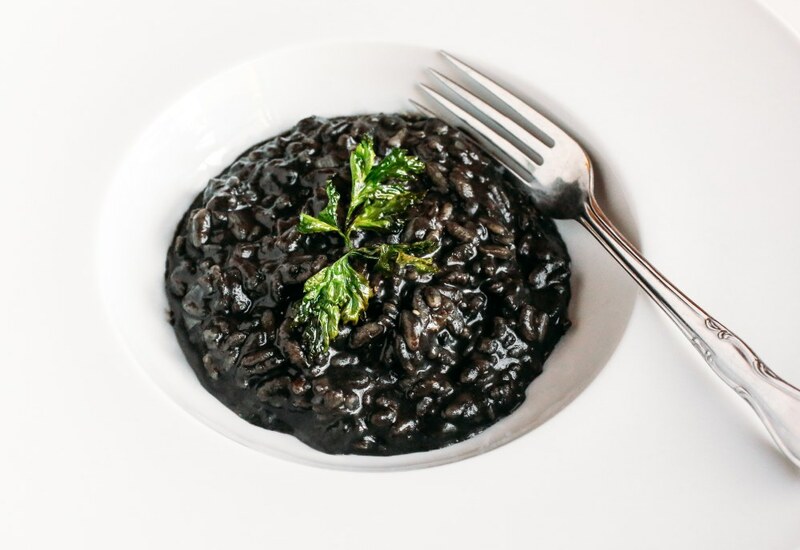 This rice dish is made with the ink of squid, which adds its slick, black color to fish stock and is absorbed by short-grain rice. The result is an elegant risotto that is silky in texture and buttery in flavor. Arborio is another name for the short-grain rice used for risotto. Per Serving: 471 calories; 33g fat; 28.0g carbohydrates; 9g protein; 23mg cholesterol; 439mg sodium. I absolutely love risotto! This squid ink recipe was very good. I was skeptic about the black coloring from the fish sauce, , but not the flavorful was still impeccable. Perfect date night recipe! The only think I was missing from this recipe was the cheese, so I added a little grated Parmesan on top. Delicious!